FEDDE LE GRAND ROCKS AMSTERDAM’ RETURNS FOR THE 2014 ADE! 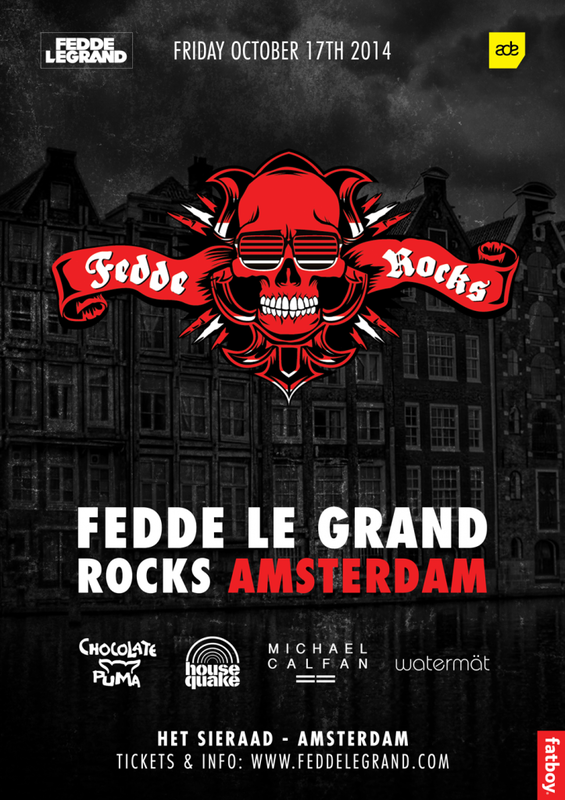 Following the massive success of last years show, ‘Fedde Le Grand Rocks Amsterdam’ is back and bigger than ever for ADE 2014. This year Fedde will be rocking the beautiful and unique backdrop of Het Sieraad on October 17th and once again will be joined by some of the biggest names in dance music to throw one of the years most hotly anticipated parties. Sure to be one of the highlights of the ADE calendar, Fedde himself has warned, “This night is going to be big, expect the unexpected!” with Chocolate Puma, Housequake, Michael Calfan, Watermät, the man himself and all hosted by MC Gee!